This place is buzzing . . .
You're considered lucky if you find a place to sit at Small Victory, since this place seems to fill up pretty quick with local actors running their lines, Lululemon employees, trophy wives, European back packers, tech savvy entrepreneurs and local Yaletowners. ▻ This place closes by 6pm everyday. Why so early?! ▻ I'm all about avo toast, but their combo of avo w/ honey, pistachios & feta cheese . . . tastes kind of weird! More vegan & gluten free options please ♡. 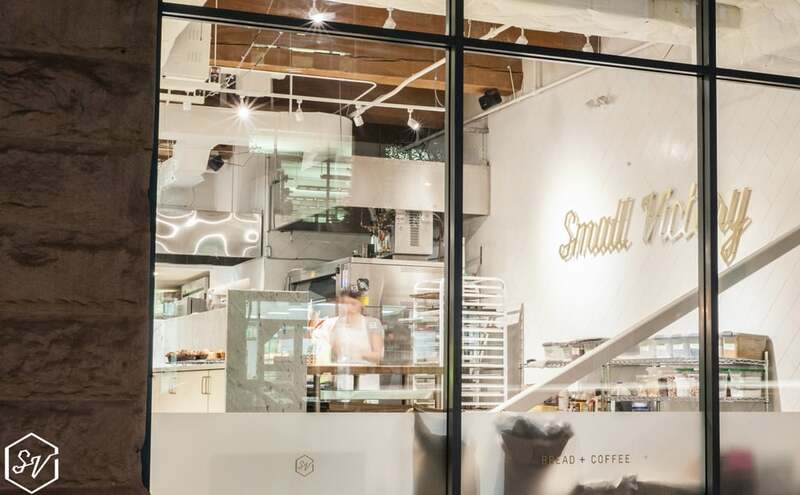 Located in Yaletown, with a large variety of pastries & drinks to choose from, you would think that the would have plenty of vegan and gluten free options. N O P E.
However, they do make the yummiest house made almond milk!